Committing to a healthier new year doesn’t mean you have to eat bland and boring food! My creamy Vegan Black Sesame Avocado Mousse is so delicious, you won’t believe how good it is for you! Dessert that is healthy, delicious, vegan, AND gluten-free? I guess my new year’s resolutions won’t be so hard to keep after al!! This post contains affiliate links. I only post links to products I completely trust and highly recommend. Please see disclosure here. GUYS. It’s mid-January already. Can you believe how quickly time flies? We’re already 2 weeks into 2017! This is around the time that New Year’s Resolutions start becoming less of a wish list and more of an actionable plan. Recently, I’ve been thinking a lot about my own New Year’s Resolution for this year and the best way to achieve it. Everyone knows that sharing your resolutions can be a great way to ensure that you meet them because it gives some level of accountability to your self promise. It’s also nice to share because it can be motivational and inspirational to other. Sharing is caring guys! So, here goes. I started having a lot of sinus and inflammation issues toward the end of last year. I went to the doctor and he asked if I had been eating a lot of dairy. The answer was, of course, duh. I’m a dairy girl. I love mac and cheese, ice cream, cream sauces, pizza… you name it! I even have a board on Pinterest called “Allllll the Cheese” (true story). I’ve had a mild dairy intolerance ever since I was a little girl, but was never told I shouldn’t eat it at all. Now, I’m being told I need to cut my dairy consumption by at least 90 percent if I want to improve my health. Considering how many things I love contain dairy, this is a difficult challenge for me, but one that is worthwhile in the long-run for optimal health. The only good thing about this is that I’m a cook. Creating my own recipes and cooking a lot of my meals at home means that I have the flexibility to create dairy-free versions of some of my favorites in my very own kitchen! This year, a new additional focus of A Bite of Inspiration will be creating delicious recipes that are free of butter, cheese, milk, and cream. Given that my doctor said I can still eat dairy very occasionally, you will still see the occasional dairy recipe on my blog (dairy lovers rejoice!) because I’m only human after all. Plus, he said I can generally eat butter and very small amounts of milk and yogurt. But, there will definitely be a lot of dairy-free recipes coming in 2017 and they will be every bit as delicious, I promise! The hardest dairy-containing food group to cut down on is desserts. I love love LOVE desserts! What do cake, cream puffs, creme brûlée, and brownies have in common? They all contain dairy products. Lucky for me, there a lot of creative ways to substitute non-dairy and, oftentimes, healthier ingredients to still create the desserts I love. That’s why my first non-dairy recipe of 2017 is a dessert dish! 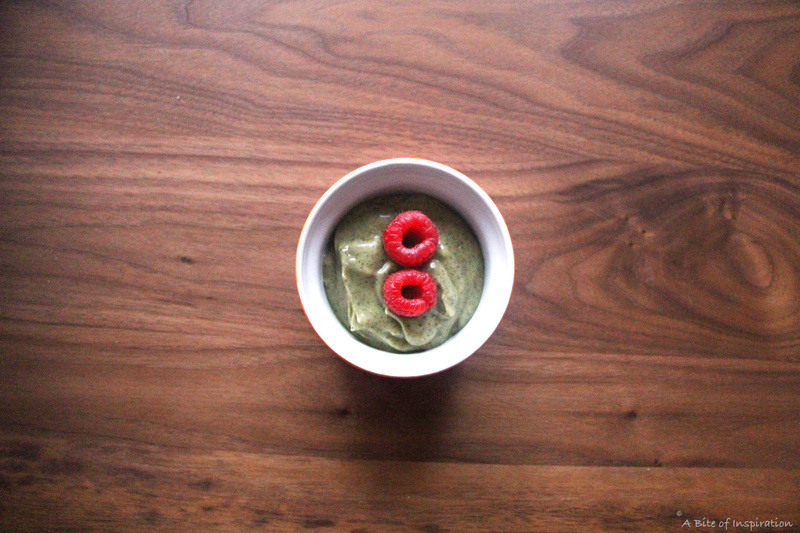 Enter, my recipe for Vegan Black Sesame Mousse. It’s non-dairy, so it aligns perfectly with my own New Year’s Resolution AND since a lot of resolutions are health focused, it may very well align with yours as well! The great thing about this recipe is that it’s nutritious enough for your health-conscious friends, while still being decadent enough for your sweet-loving friends. There’s something in it for everyone! It’s also vegan and gluten-free, so it’s good for people with other diet restrictions, as well. Even if you don’t have any restrictions, you should try this recipe anyway because it is CRAZY delicious! Like, so so good! It’s rich, creamy, and has an amazing depth of flavor from the black sesame. P.S. if you’ve never had black sesame before, now is the time! Black sesame powder has an incredible, nutty flavor and can be found in any Asian grocery store and most health food stores. But, if you can’t find it or want a brand recommendation, you can buy the kind that I use right here . Black sesame is also very nutritious and has a ton of health benefits (read about some of them here). Not to mention the health benefits provided by the avocado that serves as the base of this mouthwatering dessert. A delicious, decadent dessert that’s also GOOD for you?? I’ll take 2 please! 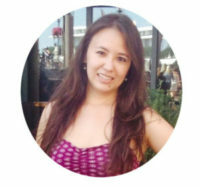 I’m excited to embark on this new (mostly) dairy-free journey with all my readers! What are your New Year’s Resolutions? Any plans for health or self-improvement this year? Feel free to drop a comment below and share. Let’s all help each other make 2017 the best year yet! Cut the avocado in half, remove the pit, and scoop out the flesh from the whole avocado. Add the avocado flesh and all the other ingredients into a food processor. Process until smooth. Pour the mousse into 2 ramekins or small bowls. Refrigerate for 30-60 minutes. Top with raspberries. Serve cold. Enjoy! Feel free to use blueberries, blackberries, or any other fruit you have on hand in place of (or in addition to) the raspberries! This looks so interesting – I would never have thought of it. My doctors have advised that I go dairy free as well – it’s not a priority right now, but when it is, I know I’ll have a new, interesting mousse to try!! Thanks for sharing! I am such a fan of black sesame ice cream but I have never thought to learn to cook with it. I have also never thought about sweet and avocado so I’m really impressed with your thinking here. Do you have to adjust the amount of almond milk based on the size of the avocado or does it just pretty much work? Thank you Romain! That’s a great question! It should pretty much just work, but if you’re using a particularly large avocado and the mousse seems overly thick then you can definitely add a splash more milk. Overall though, the texture should be fine regardless. Thanks again for your awesome question/comment! 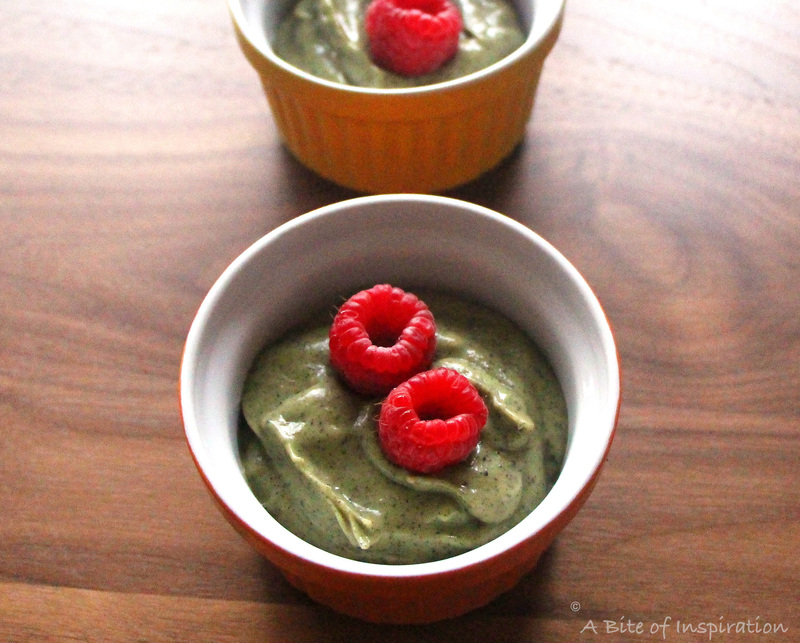 What a perfect non-dairy fix for when you are craving pudding! One of my resolutions this year is to cut back on sugar, to improve my bone health. I’m a competitive runner, and was out over a year due to fractured bones, so I really need to watch my nutrition so I can safely build up my mileage again. I am always looking for healthy dessert alternatives, and this would be great for that! Thank you so much, Riva! It’s definitely good news when a dessert is both tasty AND nutritious! Good luck with your running this year! Thanks for stopping by! I’m so sorry about having to go dairy-free! I’m one of those weird people that loves drinking milk. Any time, all the time. But I’m so excited that you’ll be sharing dairy-free desserts! I often take desserts into work and we have vegan peeps so I’m always looking for clever milk or cream substitutes! Thanks! Thank you so much, Mikaela! The dairy-free thing is definitely not ideal, but I’m choosing to look at it as an opportunity to flex my creative muscles in the kitchen! Looking forward to sharing more dairy-free desserts in the coming months! Thanks again! Alyssa, I totally feel your pain! I love dairy but it doesn’t agree with me either. Cutting back has been somewhat difficult, but you’re right, there are so many more options available now to make it easier. 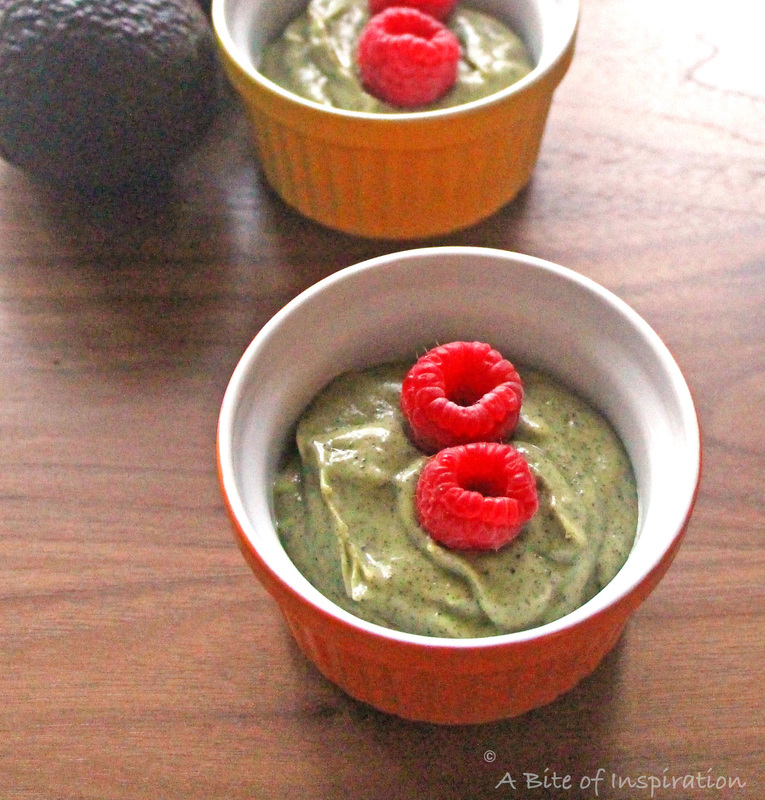 This vegan avocado mousse is a perfect example, thanks for sharing! Pinning for later! Thank you so much, Erica! My goal is to make cutting back on dairy as painless as possible for all of us. Be on the lookout for more non-dairy recipes coming soon! I LOVE sesame desserts! 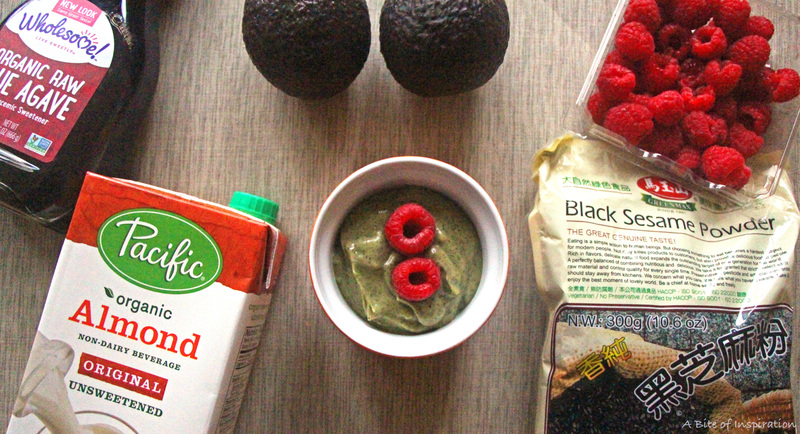 Adding the creamy avocado with the sesame dessert is such a smart idea! 🙂 Now I have another reason to have more desserts pwahaha 😀 I always have a few avocados on hand that go bad since I buy them by the bag but that will no longer happen! 😀 Thanks Alyssa! Thank you so much, Joyce! I love sesame desserts too and this recipe is definitely a great use of overly ripe avocados. Can’t wait for you to try it! Omg! This looks SO good! I love anything with avocado. Thanks for sharing!